Brooke Anna left comment number 94, so she's the lucky winner, congratulations! Thanks again to everyone who entered, and a HUGE thank you to Roundabouts Cupcake Sleeves for sponsoring this giveaway for you guys. They are a fantastic company to work with, and they have awesome cupcake sleeve designs. Do you guys remember the Roundabouts Cupcake Sleeves giveaway I hosted late last year? Well, they are generously letting me host another one! This time the prize is a pack of their Cupcake Valentines design. These are Valentine's Day Cards made into cupcake sleeves. Or, I guess you could think of them as sleeves that transform your cupcakes into Valentines. Either way, how cool is that? These are perfect for playgroups, school parties, and really any occasion where you'd give a Valentine's Day card. Only you'll be giving cupcakes. Valentine's Day is only a month away, you know. To enter the giveaway, first visit www.roundaboutsleeves.com and then leave a comment here telling me what other Roundabout Cupcake Sleeves design(s) appeal to you. They have a HUGE selection! This is the mandatory entry that must be done in order for any bonus entries to count. Once you've done that, feel free to complete any or all of the following bonus entries, just be sure to leave a comment for each entry so it counts. Just like my other giveaways, the winner will be chosen by random.org based on comment number, which is how each comment equals an entry. Like Roundabouts Cupcake Sleeves on Facebook. Post a link to or "share" this giveaway on the social networking site of your choice (Facebook, CafeMom, etc) then leave a link to your post in the entry comment. This giveaway ends January 30th at 11:59 p.m. One lucky winner will be chosen at random from all the entries on January 31, 2011. If you're not on Twitter, Blogger, Facebook, or Google, please leave your email address in your comment so I can contact you. 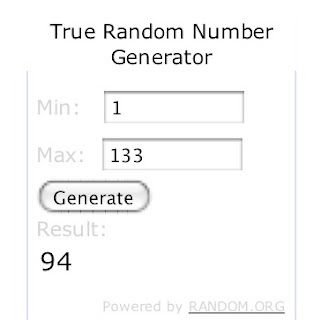 Winner will have 48 hours to claim the prize. Good luck! I love all of them, how cute. My fav is the sushi one. Also like the gumball and lil burger ones too! I love the mini golf carts and stars and stripes. My custom design would be hunter green with gold Fleur de Lis or a camping theme for my son's Eagle Court of Honor. Totally love the Harvest Green Barrell wraps. I'm following roundabout on twitter. I follow CakeDarla on twitter, I'm mkw70. I would do a custom wrap with acorns & leaves on it. It's good for fall/Thanksgiving. Left u a comment on your FB page. I shared on my FB page a link to here but I am not sure if my link will work. I'm Meghan Woeppel on FB. I lft a comment on your other roundabout wrap post. I want the gumball machine! I like the Roundabout Couture Sleeves. Too many to choose from! I like the candy hearts for Valentines and love the couture! Checking out your giveaways from my linky. Thanks for joining in! I just bookmarked your blog under my 'cake decorating' folder! I love your list of other blogs...and thanks for posting your icing recipes! Liked darla's cake blog on facebook. I like the pirates and the bumper cars under the kids. They are all very cute th ough!! I love the popcorn one!! So Cute!! Follow @RoundaboutWraps on Twitter... I'm @BewitchedBella there. Leave a comment on my Roundabouts Cupcake Sleeves review. Done! Follow Darla's Cake Blog via Google Friend Connect... Happily following! Follow Darla's Cake Blog via Networked Blogs... Also happily following! "Like" Darla's Cake Blog on Facebook... Already do! Follow @cakedarla on Twitter... Following! Whoops, here's the proper URL to the FB "share" I posted! Sorry, never knew I could get a specific one before. Stars & Stripes is great! I like the fancy flourish in yellow. I would love to make a butterfly garden design, or maybe even a glittery sparkle type sleeve. So many fun ideas! One of my favorites is "On A Good Note". I think it's one my daughter would really like. Thanks! My idea would be comedy/tragedy masks. My daughters are involved in the theater...and I think they would love it. I love the the A tisket, A tasket ones. Would be perfect for so many occasions. I also think the hamburger ones are SUPER cute. We are hoping to have a cookout when it warms up some and they would be perfect for that. I follow @roundaboutwraps on twitter. I liked roundabout cupcake sleeves on facebook. The many different choices appeals to me - every occasion! My fav is the popcorn or ice cream.Love them both! I am so excited about this. My daughter is 15 but still asks me to bring cupcakes to school every year for her and her friends. I am so excited about doing something out of the ordinary. I would love to do the sushi ones. Or maybe the hamburger. I would love to do the baseball glove ones but with neon yellow icing for my daughter and her softball team. I can't wait to be the mom who made the super cool cupcakes. lol. Follow Roundabout Wraps on Twitter. I think another one for the baby shower would be some kind of basket, like a bassinette type thing or maybe a crib of some sort. Seems like there are tons of things you could do with baby showers. And took your cake class survey. And commented on your FB page. Ooooh I want the sushi one! I love the bumper cars and the popcorn so adorable! I visited roundaboutsleeves.com and I love the Tickle The Ivories! I'm following @RoundaboutWraps on twitter! I liked Roundabouts® Cupcake Sleeves on FB! I liked Darla's Cake Blog on FB! I'm following @cakedarla on twitter!